Hello everyone and welcome to The Tailgating Spot. I really enjoy attending live sporting events. The atmosphere, hype, build up, traditions, fellow fans, comradery, and that awesome feeling of when your team wins. All of these elements and more can lead to a great experience. This website will aim to enhance one aspect of attending a live sporting event, the pregame social known as tailgating! I grew up playing a variety of different sports and found an appreciation for the professionals who I watched on TV. What made this appreciation even more profound was watching them live and in person. It wasn’t until I attended college that I was introduced to the world of tailgating. The decked out RVs, the huge game day flags, the games, the smells of grilled meats and other food, and the socializing of fellow fans. People from all walks of life descended upon a parking lot outside the stadium to prepare for the game ahead. I was immediately hooked on this aspect of attending a game. In the years since that first time I’ve been fortunate enough to enjoy many more tailgating experiences. No matter how the weather was, rain or shine, sunny or snowing, I’ve done it all. No matter how good or bad my team was, tailgating beforehand was sure to be a high point. I’ve brought many friends and family members to tailgating and sporting events over the years and more often than not, when asked how they enjoyed themselves, they say “What a fun day, but I think I liked the tailgating better than the game itself!” I love hearing responses like that, it’s great to be able to replicate that feeling I first had back in college with someone else. If I can do that, than I consider it a job well done. 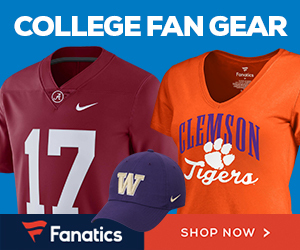 The goal of this website is to showcase all the great products and accessories that can enhance your game day experience and allow you to show the pride you have for your team. No pregame festivities are complete without a little team swag, so I hope to be adding a wide variety of products throughout the coming months.